Related to: Loss of child as result of (specify: accident, SIDS, absence of anticipatory grieving). Promotes comfort and minimizes emotional distress related to invasive procedures (action of EMLA). Promotes comfort and love of child to reduce anxiety. Promotes interactions and attitude of caring within family. Promotes understanding of physical needs of dying child, limiting activities to those that are essential. Prepares them for the changes and assists in the recognition of impending death. Reduces fear and guilt caused by terminal nature of the illness. Reduces possibility of additional stress for child; reduces child's fear of being alone. Provides a source of communication about the child's condition. V Parents verbalize understanding about the cause of the death (specify). Assess feelings of parents and what they perceive happened to infant; listen to any feelings expressed. Provide privacy and remain with parents; avoid conversation and questions that may place any blame or cause guilt; (explain cause of death; reinforce that the cause of SIDS is unknown, with no absolute means to prevent or predict it). Prepare child for parents to view and hold; stay with parents during this experience. Allow parent to determine the length of time they hold their infant or child; this varies by culture and individual parent needs. Notify clergy or other support if requested; offer baptism/prayer to parents; arrange for clergy to be present, if applicable. Provide parents the opportunity to call significant others; if unable, staff member should call. Take pictures of infant and offer to parents; saving clothing infant was wearing, ID bracelets, hats, as part of a "memento packet" to be given to parents; if parents refuse packet, save for future retrieval (if appropriate). Allows feelings of anger, guilt, and sorrow to be expressed following death of infant. 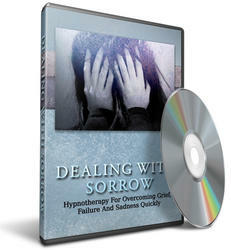 Provides support without adding to grief and feelings of guilt. Allows parents to say good-bye to their child. Promotes positive grief resolution if parents hold/see the infant and spend time saying good-bye on their own terms. Presence of other family members and significant others often serves as support for grieving family. Reinforces physician's explanation of disorder. Children's concept of death develops with age, and help is needed to avoid feelings of appropriately for age level. Assist to identify and use effective coping mechanisms applicable to situation. Reassure parents that they are not responsible for the death of their child. Contact the infant's primary care provider. 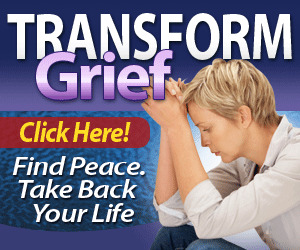 Inform of stages and importance of grieving and of behavior that is expected in resolving grief. Use therapeutic communication techniques, especially active listening. Encourage parents to verbalize their understanding of the cause of death, their feelings of grief, and any concerns about seeking assistance with grieving. Refer family to counseling services, local SIDS chapter, community health nursing agency, grief support groups. Correct any misinformation or misconceptions regarding the death.